Vermont Highway Department Commissioner Stoddard B. Bates makes arrangements to travel the T.R.I. Highway with James P. Taylor. 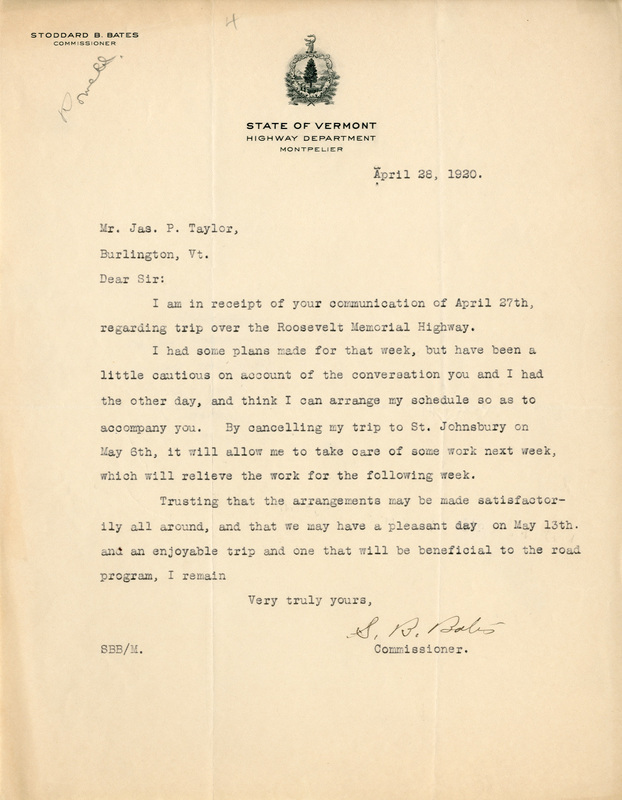 Bates, Stoddard, “Letter to James P. Taylor,” Digital Vermont: A Project of the Vermont Historical Society, accessed April 18, 2019, http://digitalvermont.org/items/show/1272.